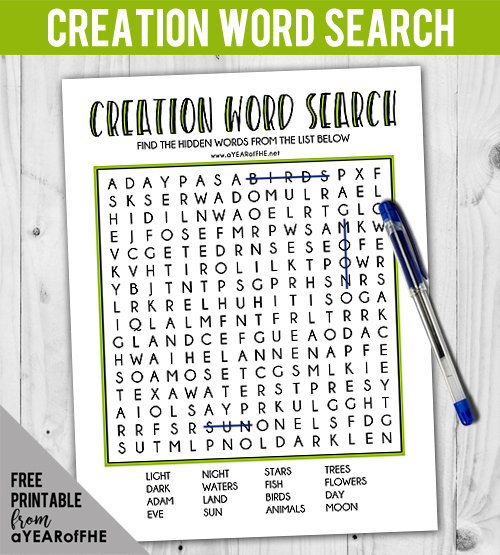 What You'll Need: scriptures, GAB 2: The Lord Created All Things, GAK 100: Creation—Living Creatures, copies of the activity coloring book, crayons, scissors and a stapler. Scripture: D&C 59:7 - Thou shalt thank the Lord thy God in all things. Before we were born we lived with our Heavenly Father. Heavenly Father and His Son, Jesus Christ, gave us the opportunity to come to earth to grow and learn so that we could become like Them. Under the direction of Heavenly Father, Jesus Christ created a wonderful world where we could live. The creation took six days. - On the first day, Jesus divided the light from the darkness to make day and night. - On the second day, He organized the heaven and the earth. - On the third day, He divided the land from the waters and created grass, flowers, trees, fruit, and herbs. 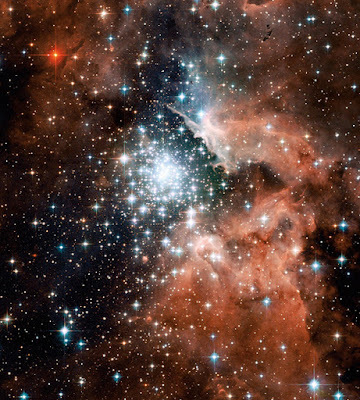 - On the fourth day, He created the sun, moon, and stars. - On the fifth day, He created the fish and birds. 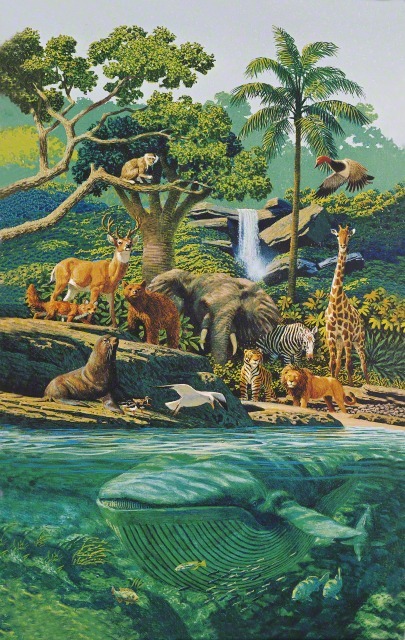 - On the sixth day, Jesus created the animals. Then, most important of all, Heavenly Father created man “in his own image, in the image of God created he him; male and female created he them”. Adam and Eve were the first man and woman to live on the earth and care for it. The beautiful world we live in is a gift from our loving Heavenly Father. We can thank Him in our prayers for its many blessings. We can also show our thankfulness by caring for the plants and animals on the earth. Our bodies are also a gift from Heavenly Father. We should especially take care of our bodies and always remember to show gratitude and reverence for their creation. Bear your testimony about what you love about our beautiful world. remind children that when we see the beauty around us, we can remember how much God loves us. I am so glad you posted :) I was starting to fear there wasn't going to be a lesson for today. thanks for posting too!! what a cute idea. 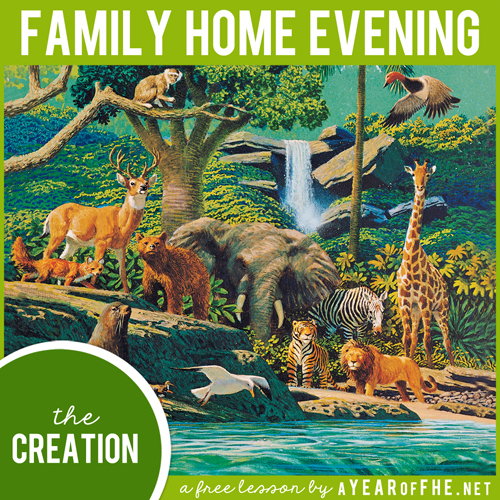 can't wait to do this one for fhe tonight. your link is on my blog! and when i actually think to plan ahead for fhe, you're the first place i go to! thanks again!! Thank you so much for your blog! The lessons are the perfect length for my little ones. They love the coloring pages too. We need to create a FHE for a Retirement Home. With a large family we were looking for something that has many opportunities to help. This lesson is perfect! Thank you for your time and good luck with all you do. Thank you for doing all the leg work so I can have a quick and easy lesson. 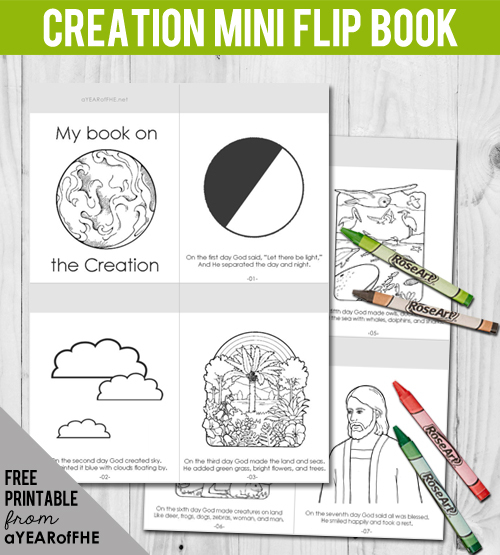 These are great--we love the ones with coloring pages so the little ones can color while the older ones listen a little better. So happy I found your site today! I love that you have graphics with your lessons, and that I don't have to have a color printer ;} We just started reading the Pearl of Great Price the other day, and this lesson will be perfect for strengthening what we've learned in Moses thus far! This is so great for my kids ages 5 1/2 and almost 3. Thanks! Such a great lesson-just what I was looking for about the creation. Thank you for this lesson and the coloring pages! great start to our new year "creation " for 3-4 year olds. Thank you for the lesson. I love the song My Heavenly Father Loves Me. I can’t get the book to print? It looks fine on my computer and I have enough ink but the images aren’t coming out clear?